Belgium, born in Termonde, on November 16th, 1970. 1980 Bernice Coppieters studied dance at the Antwerp Institute of Ballet. 1988 She joined the Juilliard School of New York winning the Prix de Lausanne in the same year. 1988 She entered the Royal Ballet of Flanders where she was made soloist. 1991-2012 She joined The Ballets de Monte-Carlo directed by Jean-Christophe Maillot. The meeting marked the start of an partnership that has lasted for over 20 years. Bernice Coppieters has inspired Jean-Christophe Maillot to create his most memorable characters in ballets: Juliet in Romeo and Juliet, the Fairy Godmother and Wicked Stepmother Cinderella, Meier in the Drosselmeier couple in Casse-noisette Circus, Beauty in La Belle, Titania in Le Songe, Death in Faust, Princess Sheherazade in Sheherazade, Her Majesty the Night in LAC. She has also performed major roles in the ballets Concert d’anges, Dov’è la Luna, Duo d’anges, Home, Sweet Home, Thème et Quatre Variations, Ubuhuha, Vers un pays Sage, In Volo, l’Île, Opus 40, OEil pour oeil, Entrelacs, D’une rive à l’autre, Altro Canto I et II, Fauves (with Gil Roman), Men’s Dance for Women, Daphnis et Chloé. Bernice Coppieters has also danced the lead roles in Sheherazade, Les Sylphides, The Firebird, Petrouchka, L’Après-midi d’un Faune as well as the repertoire of George Balanchine (Agon, The four Temperaments, The prodigal Son, La Valse, Serenade, Violin Concerto, Who cares ?, Theme and Variations). She has also worked with many modern choreographers whose pieces have become part of the repertoire of the Ballets de Monte-Carlo, or who, as guest choreographers, have created roles for her: Duende by Nacho Duato, In the Middle... Somewhat Elevated, Approximate Sonata, The Vile Parody of Address and The Second Detail by William Forsythe, Watching Waters by Renato Zanella, Return to a Strange Land, Bella Figura, Sechs Tänze, No More Play and Silent Cries by Jiří Kylián, and pieces by Karole Armitage, Lucinda Childs (The Chairman Dances), Twyla Tharp, Kevin O’Day, Angelin Preljocaj, Uwe Sholz, Jacopo Godani, Sidi Larbi Cherkaoui (In memoriam, Mea Culpa), Johan Inger, Alonzo King, Marco Goecke, and Maurice Béjart who gave her the honour of dancing his Boléro. 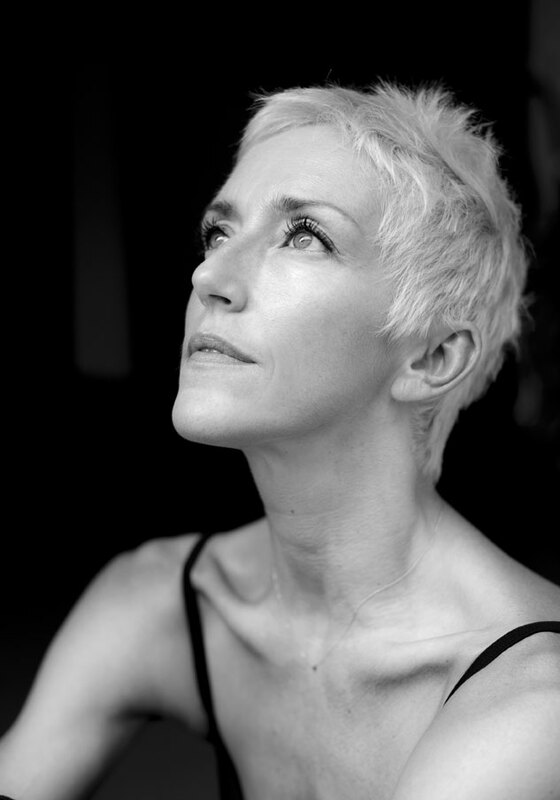 In recent years, she has worked for Jean-Christophe Maillot on several of his major productions for large companies such as the Royal Swedish Ballet, the Essen Ballet, the Vienna State Opera Ballet, the Korea National Ballet, the Pacific Northwest Ballet, the National Theatre of Prague, the Atlanta Ballet Company. 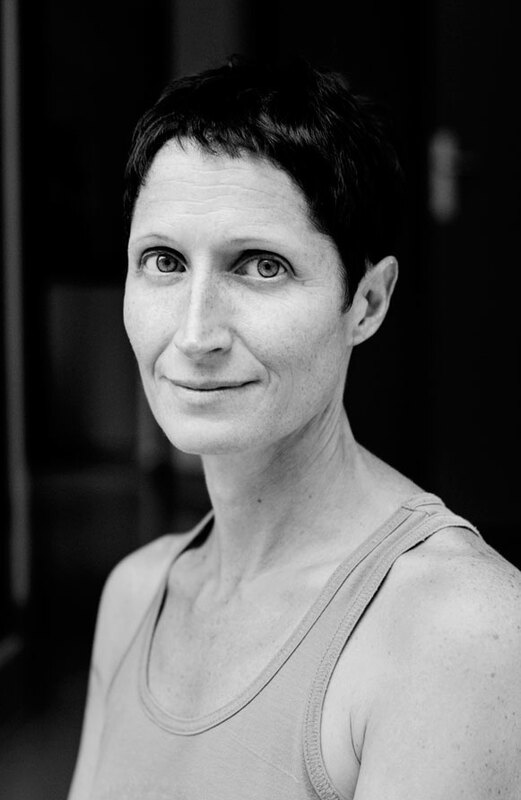 2015 Bernice Coppieters is Principal Ballet Master. Giovanna Lorenzoni is a graduate of the Rome Academy of Dance, and winner of the 1st prize in the “Nati per la Danza” and Positano Prize. She joined the London Festival Ballet (now the English National Ballet) in 1983. During her five years these she acquired an extensive experience of the classical repertoire and danced numerous major rôles, including, The Prayer in Coppelia, with Rudolph Nureyev. She also danced the repertoires of the Ballets Russes, Balanchine, Roland Petit, Christopher Bruce and Michaël Clark. After a brief period with the Europa Ballet where she worked with Maurice Béjart, Jorge Donn and Kevin Haigen, she was engaged by the Ballets de Monte-Carlo where she further extended her experience of the Ballets Russes, Balanchine and Jiri Kylian… (she danced La Nuit transfigurée for example) as well as working with numerous guest choreographers. She has been working as artistic assistant to Jean-Christophe Maillot since 1995 with Theme and Four Variations, Home Sweet Home, Dov’è la Luna, Ubuhuha et Concert d’Anges, Vers un Pays Sage, Romeo and Juliet, In Volo, Recto Verso, l’Ile, Cinderella, Opus 40 and Entrelacs, pieces which she restaged for other companies. Spanish. Born in 1975, he studied ballet in Bilbao and then at the Royal Ballet School after having been arwarded the Prix de Lausanne in 1993. 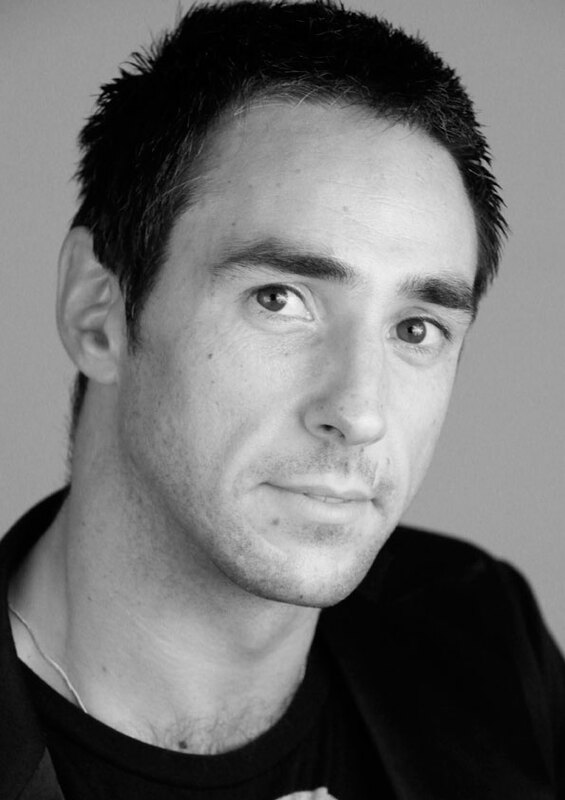 From 1994 to 1999, he danced as a Principal dancer at the Birmingham Royal Ballet. In 2001, he joined les Ballets de Monte-Carlo where he has danced major roles in Jean-Christophe Maillot's productions such as Romeo and Tybalt in Romeo and Juliet, the Prince in Cinderella and La Belle, Adam in Œil pour Œil, Faust in Faust, Demetrious et Oberon in Songe. He also danced in Opus 40, Dov'è la Luna, Men’s Dance, Les Noces, D’une Rive à l’Autre, Altro Canto, Shéhérazade, Choré, LAC. In 2014, he re-staged Romeo and Juliet by Jean-Christophe Maillot for the Atlanta Ballet and in 2015 for the Nothern Ballet. In 2014, he obtained the diploma of Pilates Instructor Training. 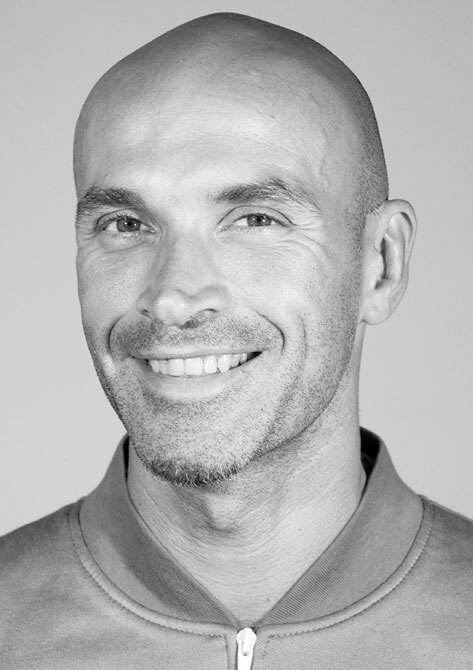 He is currently Pilates teacher at the Princess Grace Academy. And he is répétiteur at Les Ballets de Monte-Carlo. 1976 Gaëtan Morlotti studies dance in Ajaccio with Patricia Portal-Gozzi. In 1980 he continues the training in Paris with Solange Golovine et Félix Malinowski. 1982 enters the Conservatoire National Supérieur de Paris and trains with Serge Golovine. 1986 joins Les Ballets de Monte-Carlo, a newly created company by H.R.H Princess of Hanover directed by Pierre Lacotte et Ghyslaine Thesmar. He performs the Ballets Russes repertoire (Le Prince Igor, Le Fils prodigue, Shéhérazade…) and the choreographies of Pierre Lacotte. Also performs the creations of guest choreographers like Denis Wayne and particularly Le Mandarin Merveilleux of Jean-Christophe Maillot invited in1987. The encounter between the two artists creates a mutual impact that marks the beginning of the collaboration lasting since 25 years. 1988 He follows Jean-Christophe Maillot to the Ballet du Grand Théâtre de Tours where he performs his choreographies : Cliché I, Cliché II, Cliché III, Thème et quatre variations, Le Jardin jeux d’amour, Lundi matin 11 heures, Le Voyage d’hiver, Du haut de..., Ubuhuha, After All, Naranjas e citrons (in collaboration with Ramon Oller), Lueur d’amour, Casse-Noisette Circus. In the frames of the Festival “Le Chorégraphique” created by Jean-Christophe Maillot à Tours, he collaborates amongst others with Christine Bastin, Jean Gaudin et Ramon Oller. 1993 Returns to Monaco where Jean-Christophe Maillot is appointed Choreographer-Director of Les Ballets de Monte-Carlo. He will perform the major roles of Jean-Christophe Maillot’s ballets that are mainly created for him: Home sweet Home, Dov’è la luna, Vers un pays sage, Concert d’Anges, Roméo et Juliette, Duo d’Anges, In Volo, Recto Verso, l’Ile, Cendrillon, Opus 40, Entrelacs, Œil pour Œil, La Belle, D’une Rive à l’Autre, Noces, Miniatures, Le Songe, Faust, Altro Canto II, Fauves, Norma mise en scène pour l’Opéra de Monte-Carlo, Shéhérazade, Daphnis et Chloé, Opus 50, Lac, Choré. 2002 In the frames of Monaco Dance Forum Gaëtan Morlotti starts very productive choreographic life. Le Spectre éléctrique is his first performance realised with DJ Spooky. In 2006 collaborates with the painter Ernest Pignon-Ernest for the itinerary in the city of Brest in homage to Jean Genet. 2007 Creates the choreography Mu for the School of Rosella Hightower in Cannes and assists Jean-Christophe Maillot for the conception of the Jeux des Petits Etats d’Europe opening ceremony in Monaco. 2009 Creates in the frames of the Centenary of the Ballets Russes a Hommage à l’Après-Midi d’un Faune and participates many times with his choreographies within the festival Printemps des Arts in Monaco. For les Ballets de Monte-Carlo and in the frames of the Young Choreographers evenings he creates: Entre temps, Les Echevelés, Des-compositions 2012. Forms also the group “ Small Bang” with whom he creates several performances, notably Variations pour les colonnes presented at the Monaco Dance Forum. Since 2010 Gaëtan Morlotti is leading the pedagogical projects and works with students in the collaboration with the National Education of Monaco.